Convertible is a modern and stylish Drupal Theme. It’s super clean,fully responsive and optimized for tablet and any others mobile screen. Lotus will also give you a great portfolio option to work with and it’s very powerful for various type business. Super Clean and Ratina Ready. 10 Color Theme Ready with Unlimited Color Options. 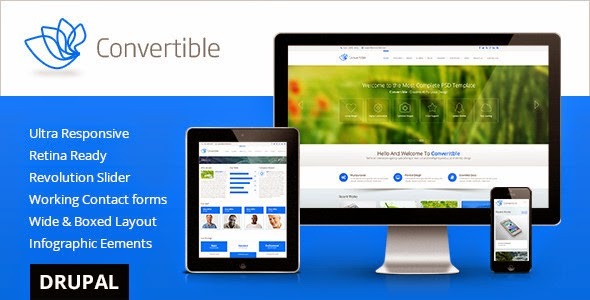 Item Reviewed: Convertible Multipurpose Drupal Theme 9 out of 10 based on 10 ratings. 9 user reviews.